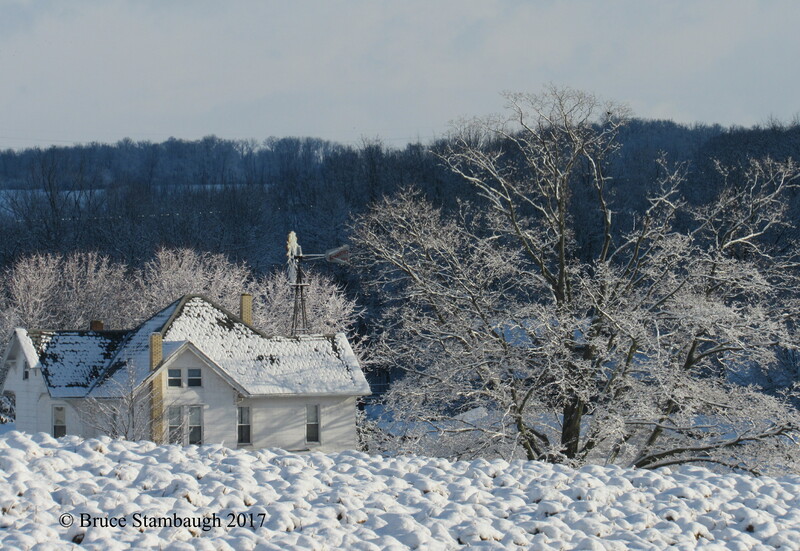 When my wife and I arrived home in Ohio’s Amish country recently, we were surprised to see that fields around our home had all been plowed while we were away for a couple of months to avoid winter’s harshness. Usually, plowing extends well into spring. But this year the farmers, especially those using horses to pull the plows, were able to turn the soil during this winter’s mild weather. That all changed a couple of days ago. We were on the western-most side of the latest nor’easter storm that pounded the East Coast with blizzard conditions. Our share of the snowstorm was more typical of a March snow in Ohio. Most of our snow was lake effect snow driven by strong northerly winds. I was contented to observe the radiant beauty of the snow-covered furrows from the comfort of our home. “March in Ohio” is my Photo of the Week. Thanks, Melodie. I’m glad I was inside, too. I also see an Aermotor Windmill… in your image Bruce, good choice for the one’s who live there.